In a controversial move, XSEED Games is delaying the Western launch of Senran Kagura Burst Re:Newal in order to remove the Intimacy Mode from the PlayStation 4 version of the game. The mode will remain in the PC version, but it is being delayed as well so the game is released at one time for both platforms. The decision was announced via a tweet late last week. Sony requested that the Intimacy Mode be removed. XSEED localisation producer Tom Lipshultz elaborated in another tweet, stating that the mode's removal is due to "a brand new policy" from Sony. My question is: if Valve allows it, why can't Sony? Steam has been under fire this year for removing and denying games with sexual content, but this is okay to the folks at Steam... but not at PlayStation? And what about titles such as Grand Theft Auto V, that allow you to rub your hands all over strippers? Will those be retroactively censored? Is Corpse Party happening for Switch? Looks like it! It looks like the Nintendo Switch is getting an entry in one of the most beloved, utterly creepy horror franchises out there. Corpse Party: Blood Drive has been rated by the ESRB, which is usually a good sign that a release is on the way when the publisher itself hasn't announced it. Blood Drive is currently available on PS Vita and mobile (iOS and Android). It's a simple enough game, visually (Corpse Party titles always are), but don't let that fool you, because this game has bite. It's a survival horror where you need to avoid monsters while solving puzzles. What sets this one apart is the way it uses visual novel-style writing to depict some of the most most extreme violence you can imagine. 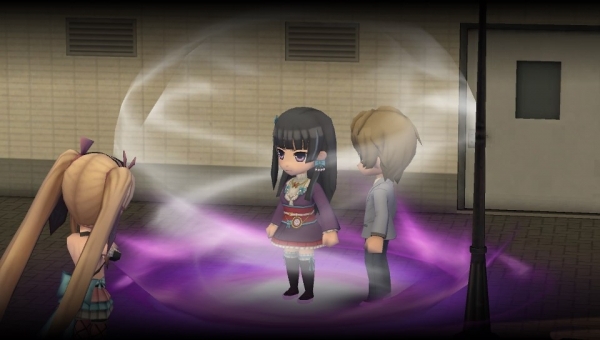 So, if you have a good imagination, then Corpse Party: Blood Drive is really going to stay with you. Odds-on bet that this is a Halloween release. Previously a PS Vita exclusive, publisher Intragames is bringing Idea Factory's Psychedelica of the Black Butterfly to Western PCs via Steam by the end of the year. The game begins with a girl awakening in a mansion with no memory of who she is or why she is there. There are numerous story paths and a mini game to unlock addition plot elements. Psychedelica of the Black Butterfly was originally released in Japan during 2015, and had a Western PS Vita release earlier this year thanks to Aksys. The main differences between the Vita version and the PC version is the high-definition visuals, as well as keyboard and mouse controls from the butterfly mini game. The Battle Cats was a delightful little game. One of those super casual strategy games where you build units and they automatically head in a direction, attacking everything on their way until defeated or reaching the enemy base (which they then attack until it's destroyed and you win), what helped set it apart was its superb sense of humour and the ridiculous character designs. It was worth playing on just to see what enemies would show up next, and what new cats you would find to summon. Together! 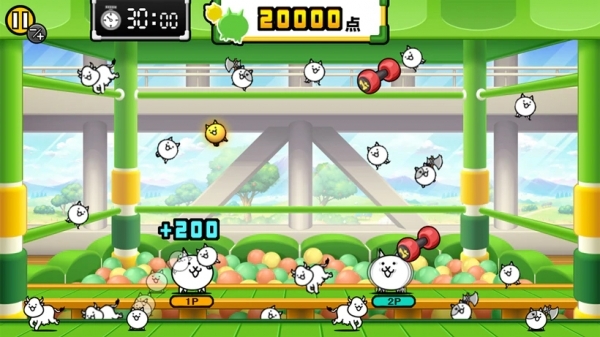 The Battle Cats is the newest in this franchise, and will feature co-operative play and minigames to go with the action. It's being released exclusively via digital channels for the Nintendo eShop for the Switch. No word yet on a western release (though the Switch is region free, so just grab it off the Japanese eShop). Battle Cats did get an English release on the 3DS eShop, though, so I wouldn't discount the possibility just yet.